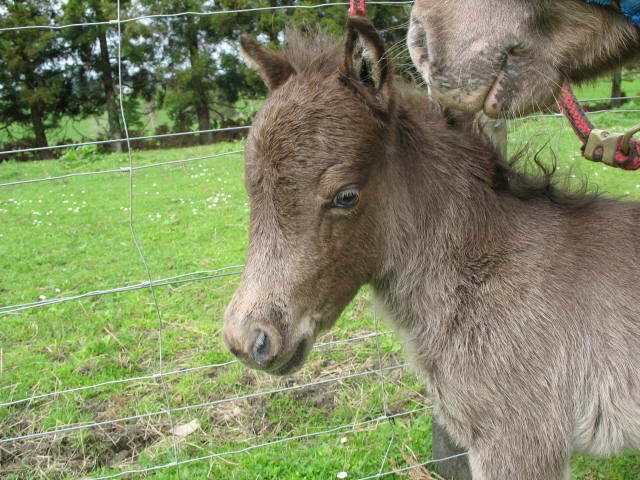 Due to relocating to a smaller property we  have lovely miniatures available for sale ranging from foals, yearlings  to mares. 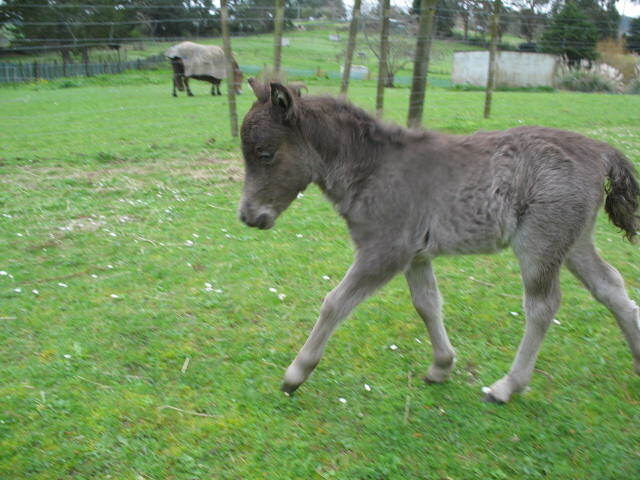 This seasons foals are now arriving and some will be available to loving caring homes. 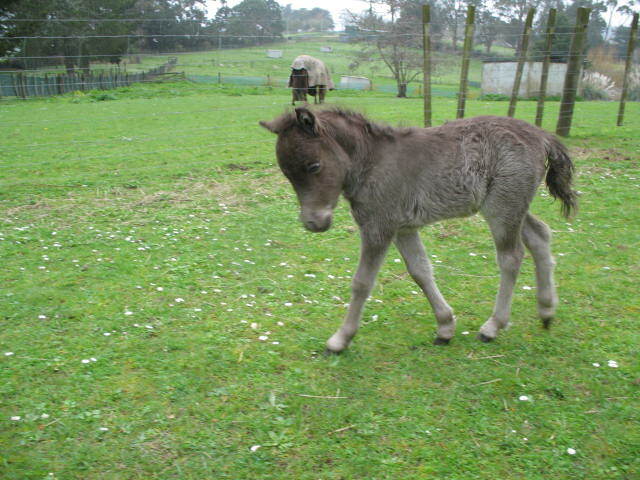 We occasionally have mares for sale, some with foals at foot or infoal. Genuine enquiries most welcome. Gatsby is a lovely refined and upstanding top show quality minimal black overo colt with real presence , a lovely temperament and nice straight movement. Angel is a real little eye catcher with her chestnut ,white markings,she is a refined, elegant and upstanding filly with real presence and a wonderful temperament. NZ National Grand Champion Multi Color Horse cat B proudly owned and exhibited by Cindy Hosking. Sam is a real little stunner. He is a very nice refined and upstanding little colt with nice movement and a lovely temperament. His siblings have done very will in the show ring, including his sister who we have retained. Sam will be available at weaning end of July. Gambler is an elegant upstanding true horse type with nice movement, a lovely temperatment and full American bloodlines. carries proven amercian bloodlines and will be an asset to any breeding program. Ideally show now, breed later. Rose is available to an approved caring home. from Australia that has consistently given us Multi-Supreme progeny and I'm sure Love will be just as successful. Love is available to an approved caring home. multi-supreme winner, as we are sure Knight will be. Private is a lovely upstanding refind rising yearling colt from proven top multi supreme bloodlines including his full sister Houdinis Heartbreaker 2005 NZMH Hi Point horse A of the year 2005. King is a lovely refined colt with real presence and lovely movement. 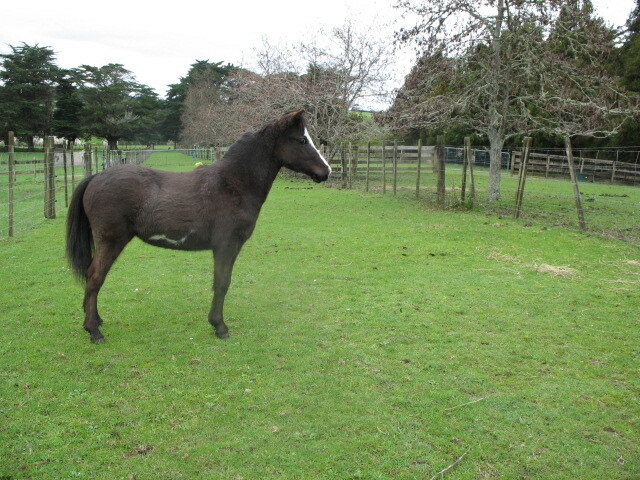 King is now starting to appy out and is developing a blanket over his hindquarters. He is going to mature into a real little stunner. Rain is a beautifully marked, upstanding and refined leopard colt with lovely movement and is one of the nicest appaloosa colts I've bred. Rain is ideal to show now, breed later. fuss or problems and was lightly backed after the training session and again he behaved perfectly. If you are looking for a honest genuine little gelding to have fun with please give us a call. Splash is only available to a kind, caring home where he will get good care, love and plenty of attention. Charm is a lovely refined bay yearling filly - 31.00". She is a nice straight moving filly with a lovely friendly temperament. now coloured out. Charm has been clipped and is sold with her cover. in Top of the Line Gelding competition or as a future breeding proposition for an appy / overo breeder looking for new bloodlines.